It’s easy to lose track of the days here at school. A whole week can pass in the blink of an eye. Such is the case of what happened to me yesterday as I walked to my 9:10 class. Coming down the steps alongside the west end of the UC, I turned the corner and saw the flag at half staff casting a shadow over 2,977 tiny American flags standing neatly together on the front lawn. I looked at my phone to check the date and sure enough it was 13th anniversary of 9/11. 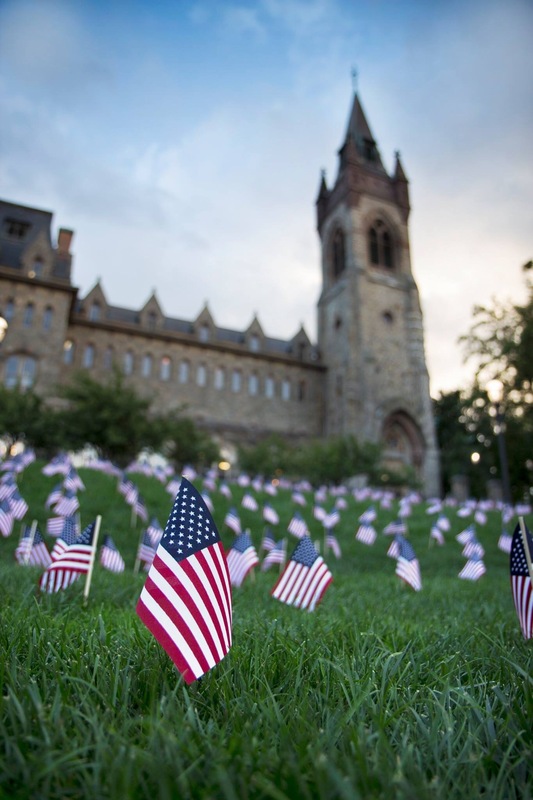 The flag memorial was planned and coordinated by Student Senate. It brought a quiet, respectful atmosphere to campus. Usually people are walking and talking loudly and joking with each other as they walk to and from class but yesterday was an exception. It was a nice gesture that made a difficult day on all of us a little easier. This entry was posted in Uncategorized and tagged lehigh university, Memorial. Bookmark the permalink.